John Fanning to join Joe Abrams on Boink Live’s Advisory Board, who is the Founding Chairman and CEO of Napster. 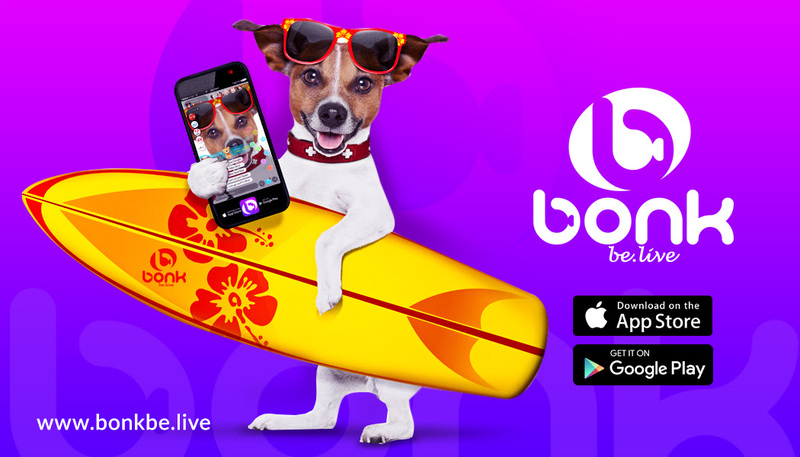 Boink Live Streaming Corp., has a recently-launched app with plans for broadcasting and watching live steaming videos free for download on iTunes store, Apple and Android; and through its website at http://www.boinklive.com. The Board of Directors elected Michael Gilburd as Chairman/CEO last month to lead this social media-sharing and social networking company. The former American Express Managing Director is remaining as President and Chief Executive Officer of ValuCorp, the Business Valuation and Intangible Appraisal company. As part of this new appointment, Gilburd sought Advisory Board participants with specific industry experience, and recruited John Fanning to join Joe Abrams on Boink Live’s Advisory Board. 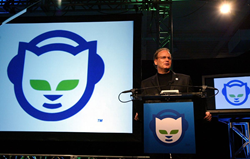 John W. Fanning, Founding Chairman and CEO of napster, has been a pioneer in internet technologies for over 25 years. In addition to his work with napster on the distributed aggregation of content, he has introduced such net-related innovations as client-server game play, voice over IP, and auto-upgrading/authentication. 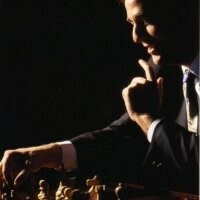 Since 1994, he has founded numerous successful Internet ventures, including napster, NetGames, NetMovies, and Netcapital. John attended Boston College and has a background in finance from his work at Fidelity Investments in Boston, Massachusetts. Boink Live Streaming Corp. was formed as a Delaware corporation for creating a social media platform based on broadcasting and watching people live streaming. Our corporate offices are in the Philippines, Indonesia, the United Kingdom and the United States. Our application was programmed by our technical partner iMagically, with productions builders for the app in the Ukraine by IDAP corporation, Castle productions in Indonesia and its beta version is currently available on Google ITunes store, Apple store and works on all Android and apple phones. We have created a free to download mobile application that allows its users to watch and broadcast live streaming videos while earning rewards and cash. With one click our users will be able to go live, broadcast themselves, meet new people, connect with their favorite celebrities and gain followers, all by sharing their moments, lifestyle and attitude. Our application features live streaming and chat, so our users may stream videos and use our live chat to comment and talk during the live stream; stickers that stay on the face while broadcasting; and live filters and make up effects to liven up the streaming video they are broadcasting. The application also includes live feed search using hashtags allowing users to find videos and broadcasters in line with their interests, hobbies and personalities. 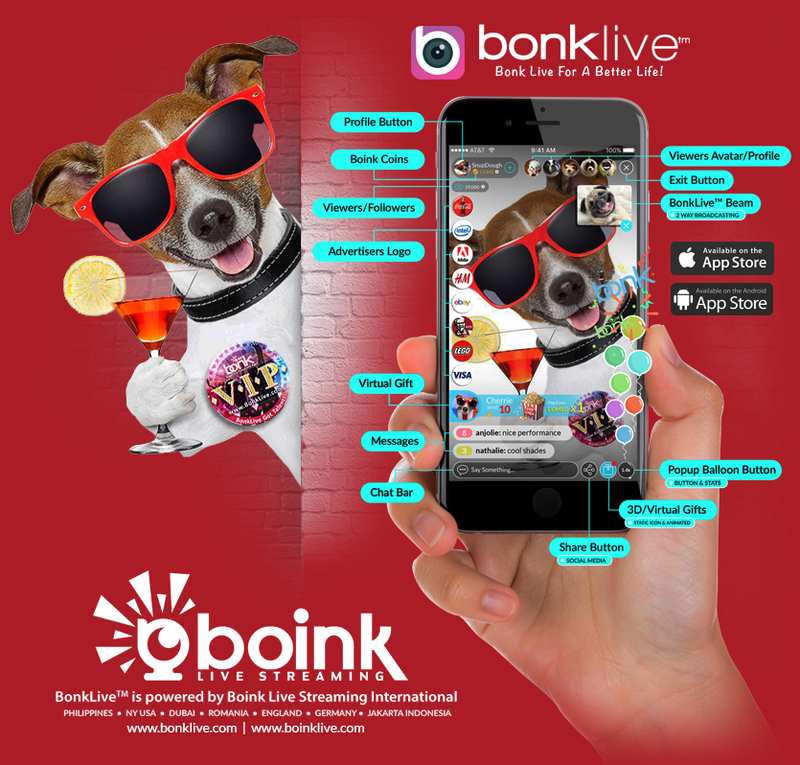 The Bonklive Live stream can be shared through other popular social media platforms such as Facebook, Twitter, Instagram and Snapchat to gain followers. The application will allow its users to send gifts to their favorite broadcasters. These gifts can be turned into gold bars which can be redeemed for national currencies. 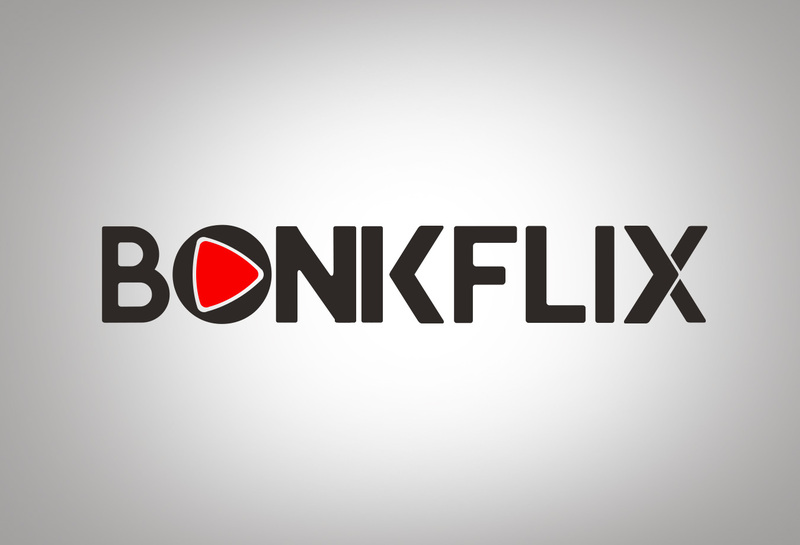 Boink will capitalize on the growing entertainment market across the world through the production and promotion of high quality streaming entertainment. With strategic offices located in the Philippines, Indonesia, Ukraine, Romania, the United Kingdom and the United States. obligation to publicly update or revise any forward-looking statements, whether because of new information, future events or otherwise after the date of this press release. Additional information concerning risks and uncertainties that may cause actual results to differ materially from those projected or suggested in the forward-looking statements may be found in the company’s private Placement Memorandum.